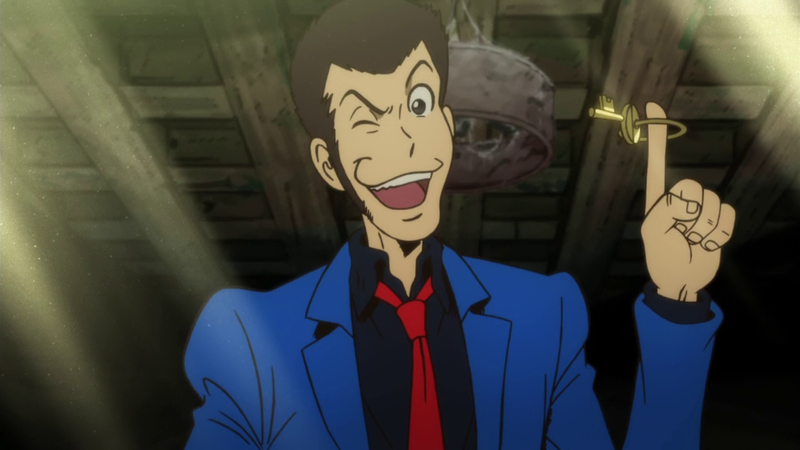 There are very few franchises that have the fame, staying power and following of something like Lupin the Third. Lupin the Third is one of Japan’s most powerful, interesting and unique creations, with a rich history of movies, anime series, OVAs and spinoffs to guarantee it a spot on the instant classic list. 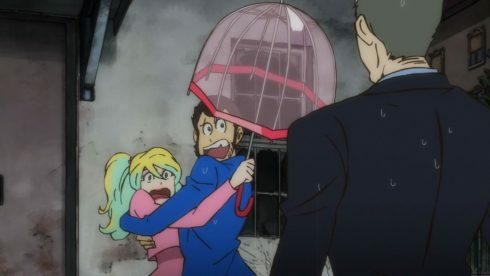 It kinda goes without saying but… If you’re a fan of the anime medium, then you have to at least try and experience Lupin the 3rd in some form or another. I mean, the franchise has been around since the early 70s (1969 to be exact), so there’s a high chance that you’ve run across it at some point already. 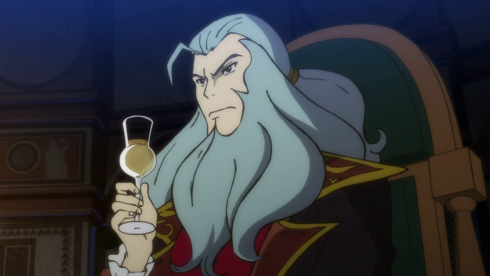 The interesting thing though, is that despite a plethora of movies and disc only releases, Lupin the third has really only ever had three anime series (and one bad spinoff) to its name. 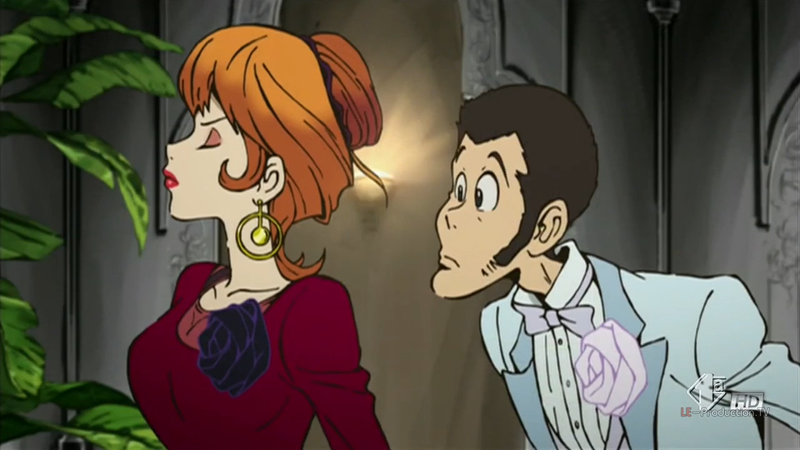 While a spinoff series bearing the franchise name, and focusing on one of its primary female characters, Mine Fujiko did come out in 2012, that series was so far removed from the main franchise, both in terms of tone, story and style, that fans have long been hungering for an actual return to form for the franchise in TV series form. Lo and Behold, the Fall season of 2015, when the so called debut of a new series, simply titled Lupin the Third (and referred by some as the proper part 4) was set for. 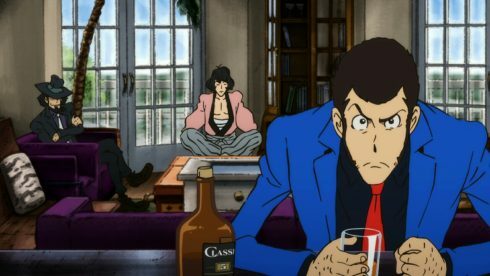 Lupin the Third coming back as an anime series should’ve honestly been a much bigger deal than it was. Yes, despite the series coming out in the Fall of 2015 in Japan and running all the way through March of this year (2016), most western fans actually didn’t get a chance to watch the series as it came out. 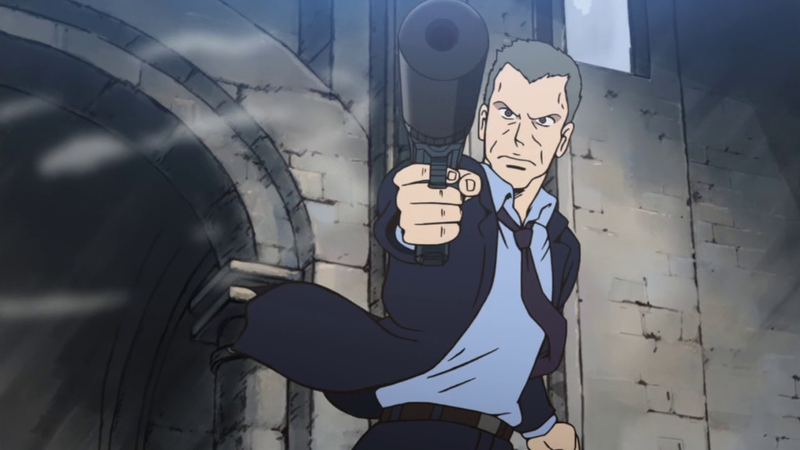 Its unclear whether there was an issue with rights, whether TMS Entertainment was just not too interested in foreign markets or if there was some other more interesting story entirely, but for whatever the reason, Lupin the Third (2015) did not get simulcast alongside other anime series that season. It was only near the very end of the year, in December, that Crunchyroll finally began streaming and back-filling all the episodes, as the series itself had already reached the half way point. The effect of the late release and rollout to western audiences was immense, and many people passed this series by entirely. Whether it was excitement, blogging or just general viewing, this show didn’t have much of an impact during its airing. And that’s a darn shame, because Lupin the Third (2015) or Part 4, or whatever you want to call it, is an exceptional entry in the franchise. It really is a return to form. Its an anime series that brings it all back into the spotlight, and integrates everything beautifully into the modern era. The series, spanning 24 episodes, is a Lupin the third fan’s dream come true. It does justice to the characters, the world, the comedy, the wit and it does it all with a sense of style, flare and personality that truly does show a deep respect and love for the characters and the franchise as a whole. What is perhaps the most important and defining trait of this 2015 Lupin the Third anime series, however, is the fact that it doesn’t simply play it safe. It goes beyond what the recent installments in the franchise have done, and it does so in creative ways that stay true to the core tone and feel of the franchise, but give a refreshing change of pace as well. The changes themselves are definitely pretty interesting, with the biggest being a shift in location. 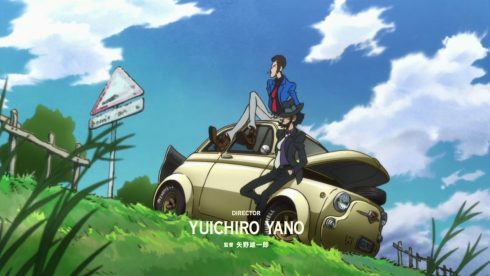 The majority of this series actually takes place in Italy rather than Japan, which is both a bold and pretty smart move. Thankfully, while the location may have changed, the lovable characters are still as fans probably remember them. 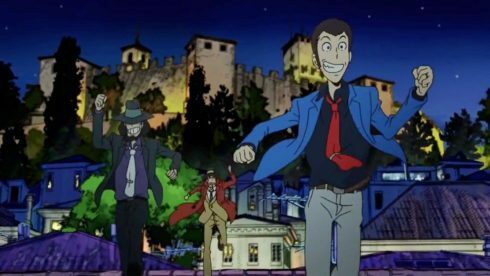 Lupin is still stealing things, he’s still kind of a whacky guy who rides the line between funny idiot and enigmatically cool thief. Jigen is still around and backing up Lupin, his aim still ever sharp, and his skills with his revolver making him just as badass as he’s always been. Geomon is still the same old, silent, cool samurai that’s a bit too simple minded and rigid at times.Then there’s Mine Fujiko who continues to have Lupin in her grasp, and continues to be the woman he wants but can never have. And of course, Zenigata is still chasing Lupin to the ends of the earth, the push and pull between these eternal rivals, ever strong. And beyond all of that, its worth stating how familiar and right it all feels, to the point of being almost uncanny. The relationships and dynamics between the classic characters feel so darn natural and familiar in this series. Nailing the relationships, the back and forth between all these lovable characters is an achievement in itself. 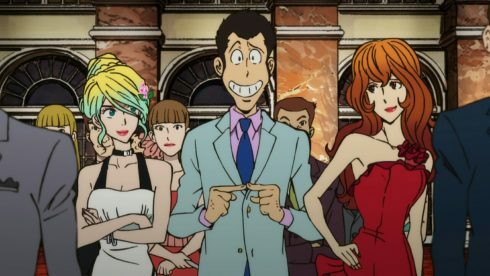 Lupin the third 2015 is a nostalgic trip because of that, where it highlights the best parts of what you remember about these characters and the world, while updating the look, feel, animation, general production values and even the storytelling at the same time. On that note, the series does a great job of balancing an overarching story with more personal, standalone episodes. These smaller, one episode stories explore these famed characters in new and interesting ways without ruining or changing them too drastically. There’s a surprising amount of depth in how much the series examines and develops each character, not just Lupin himself. Strewn throughout the 24 episodes are just episodes that highlight a deep understanding of these characters and what makes them special. The stand alone stories are definitely the highlight of the series, because they put these tried and true characters in new and interesting situations, and then develop and reveal aspects of them that are both surprising and interesting, while still being very fitting and true to them. On the flip side, however, The overarching story itself isn’t anything super special. There’s a very interesting European tone to the story, with specific call outs to some very mainstream Italian cultural items, artifacts and personalities. While the plot itself can be kind of nonsensical at times, its entertaining enough to enthrall newcomers, while fans of the franchise will obviously feel right at home with the sort of “out there” storytelling that the franchise is known for. If nothing else, Lupin the Third 2015 has a story that FEELS like a Lupin story, and that’s is a pretty big win in my book. But while there’s great pains taken to stay true to the characters in this new setting, its definitely not a case of “more of the same”. There are some rather dynamic changes, that push the envelope a bit and give the franchise some expansion and forward momentum. The series’ crowning achievement is a character named Rebecca Rosselini. 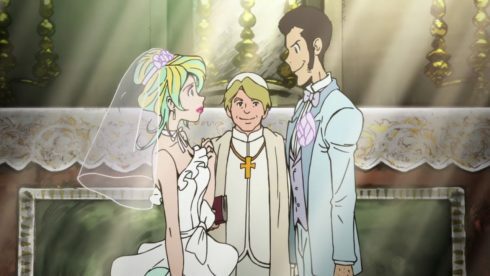 Rebecca’s an entirely new and original character, and one that starts off the series in a big way; she weds Lupin himself in the first episode. Its best to stop there about what happens with that wedding and what her relationship with Lupin and even Fujiko itself becomes, but suffice to say, the dynamic not only works, but feels right. 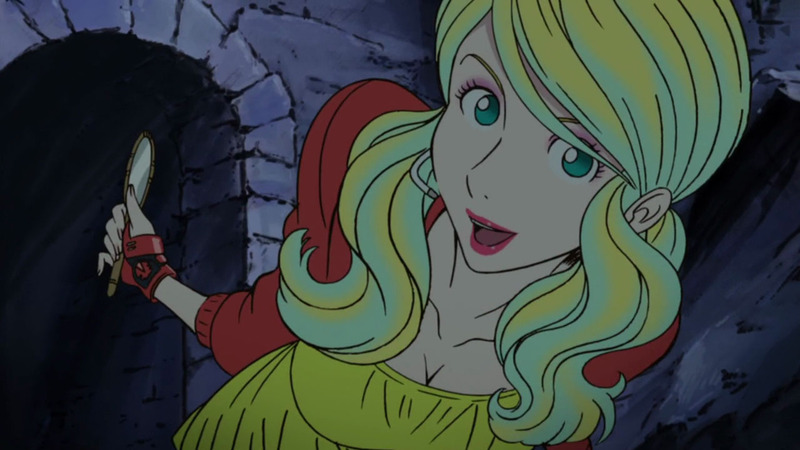 Unlike say the stuff in Fujiko’s own spinoff series(A woman called Mine Fujiko), where characters began acting horribly out of character, Rebecca’s introduction doesn’t mess with the complex relationship between Fujiko and Lupin. Instead, she actually kind of enhances that particular pillar of the franchise. Its a nice wrinkle in the story, but what’s so amazing about Rebecca is how she has real staying power. 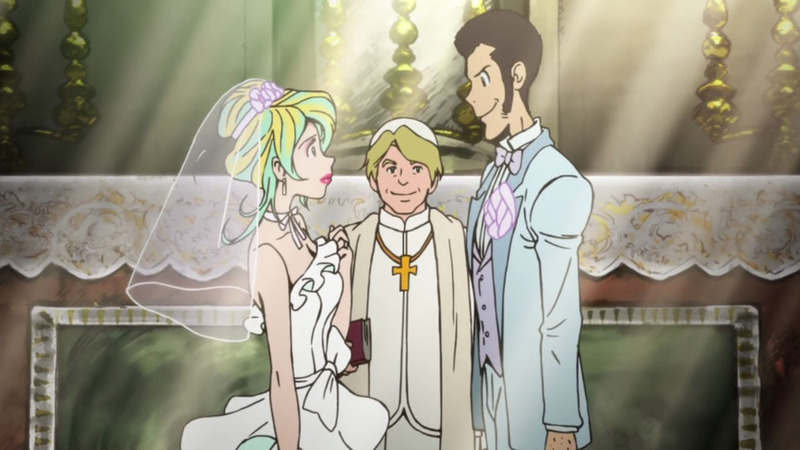 Rebecca is a character that plays a pretty important role in the ongoing events across the series, but her chemistry with Lupin and the rest of the cast is real. It works and she works, and she’s definitely a character that I hope the franchise continues to carry forward. Another character thrown into the mix is a James Bond-ish knockoff named Nix. Nix starts off looking a lot like the Daniel Craig James Bond from the recent western movies, with his backstory definitely starting him off as a Birtish MI-6 agent. Thankfully, the guy is given enough nuance and faults, that he becomes another decent wild card in the cast. While Nix isn’t exactly a home-run like Rebecca, he does work well in the context of the series, even if he probably shouldn’t have a future beyond it. All in all, the cast of characters is great, and the voice acting itself is definitely stand out as well. All the veteran seiyuu are back and voice their characters with the same skill and power that made their performances so timeless. 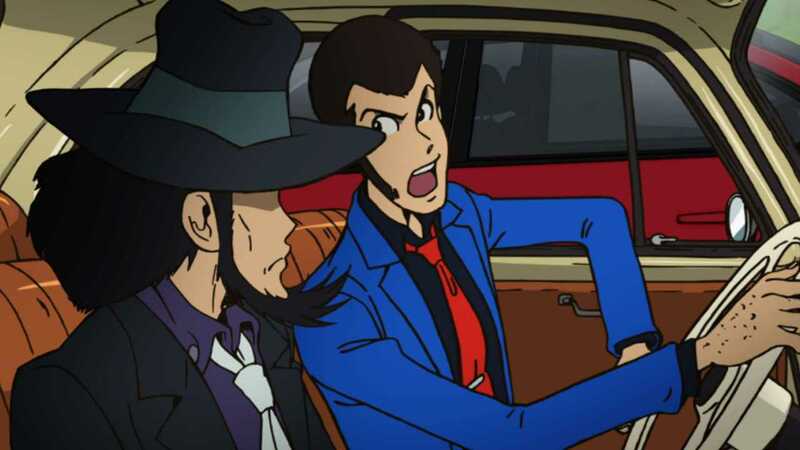 Its especially impressive for Kanichi Kurita and Kyoshi Kobayashi who reprise their roles once again, having voice Jigen and Lupin respectively since the beginning of the franchise. The other cast members definitely has experience, having voiced the rest of the characters in several movies/spinoffs/specials before this, and it shows. It is worth noting that no voice feels off, weird or even remotely unnatural. Everything feels right, and that’s a feeling that this series just brings to the forefront at every available opportunity. 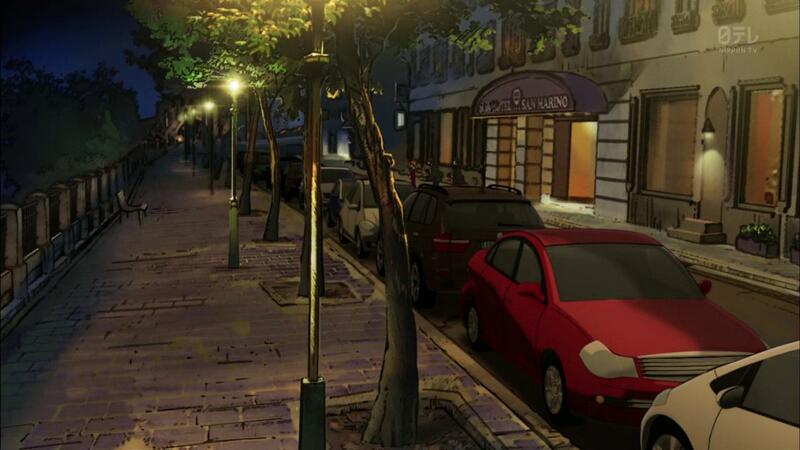 The final thing worth talking about is the animation and art style. 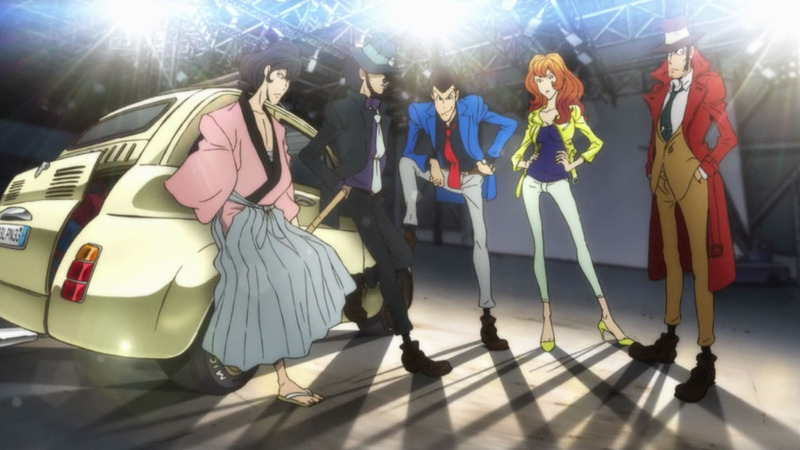 Lupin the Third 2015, produced by TMS Entertainment, has a unique, comic-bookish, graphic and gritty art style. Its not something you see all that often, in that it really does carve out a unique and interesting look for the characters and the world. Its something that transitioned from the spinoff series featuring Fujiko, but with more restraint and less gestural elongated features for the characters. 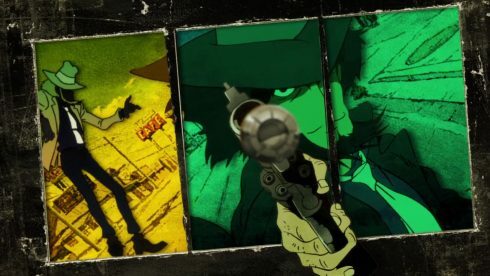 The art style is probably the biggest gamble that the show takes, but its one that not only works, but oozes style at every point, whether its the action scenes, the general funny moments or even the highly stylized and almost Tarintino like opening. The rough and edgy art direction definitely does the show favors when it goes for some of the more outlandish action scenes. These scenes, which would probably require a pretty insane animation budget, are able to shine with a rouge, almost animatic-ike quality to them. The show is able to make some pretty cool aesthetic choices because of its art style, and the rough animation definitely ends up feeling part of the package, rather than a distraction. And its also worth noting that the music in the series is just something else. Again, its about the fact that it just feels RIGHT. The music in this show, whether its the OP theme, or the background music during key scenes, it all feels familiar and yet there’s definitely a modernized, remix quality to it all. 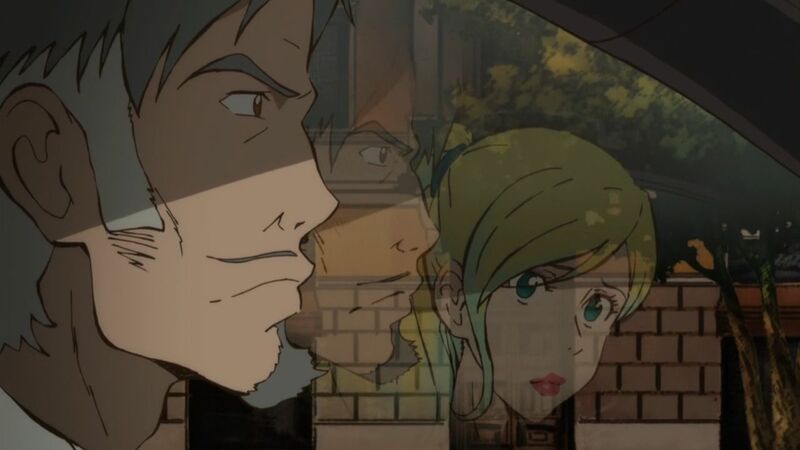 Again, the one thing about the original Lupin the third series is how badly the production values have aged, but this series just expertly translates the essence of the franchise’s music into the modern era. 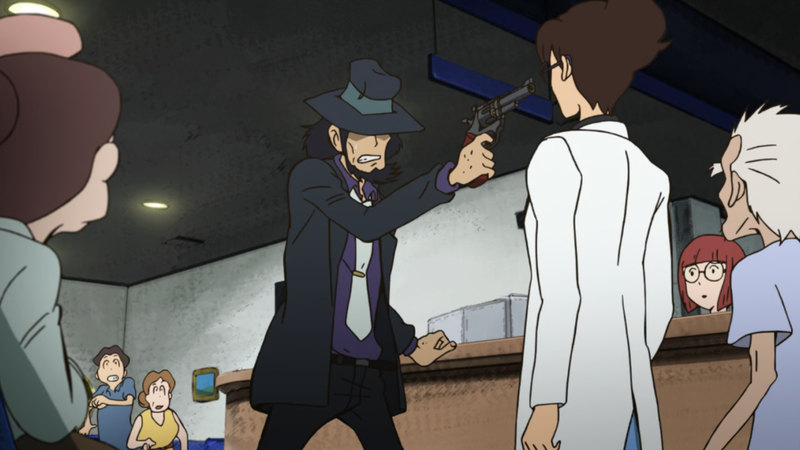 So… If you’re a fan of Lupin the Third, then it pretty obvious by now that you should watch this series. 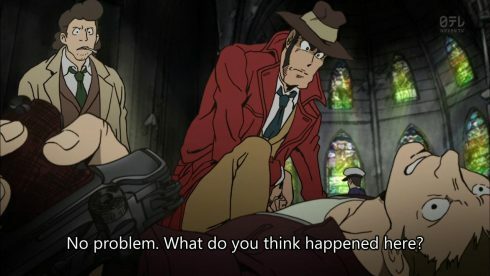 If you were burned by the “A woman named Mine Fujiko” spinoff like I was, or just found yourself unable to keep up with the more staggered stand alone movie and OVA releases, then this latest series is definitely going to be a treat. As for newcomers? Well, I’d say that Lupin the Third (2015) is probably the best and most accessible entry point the franchise has. Its probably not the best story, but it does justice to the characters and embodies the spirit of the franchise as a whole quite well. If you’ve always been unsure about the franchise, or been curious about it, then watching this series will definitely give you a pretty good idea of what its all about. 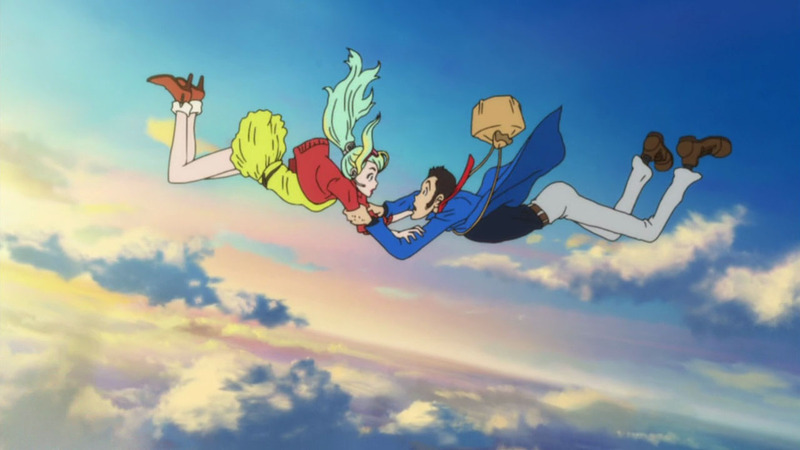 In the end, I’d say that Lupin the Third 2015 was one of the biggest surprises and one of the best sequels to come out in recent memory. 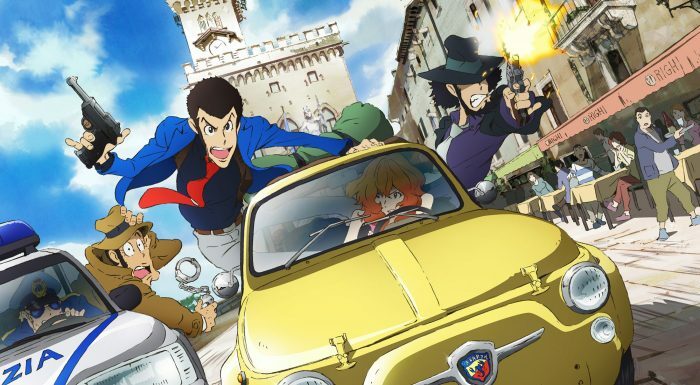 In an age where a lot of sequels and adaptions are starting to disappoint, Lupin the Third (2015) stands tall as something that’s done the impossible. Its managed to recapture the magic of a beloved franchise, change things up, modernize and breath new life into what seemed like a dormant franchise. Its just so good to have Lupin the 3rd back, and back with a series that at the very least, never fails to entertain.